Guggul is a very effective Ayurvedic herb that is used in Ayurveda for weight loss. One of the most famous herbs in Ayurvedic medicine, Guggul possesses strong purifying and rejuvenating powers. Guggul is also considered to help in strengthening the digestive system, working as an appetiser, and helping to overcome indigestion and constipation. 100% pure, biodynamically grown, organic Guggul (Commiphora Mukul), veg cellulose capsule. 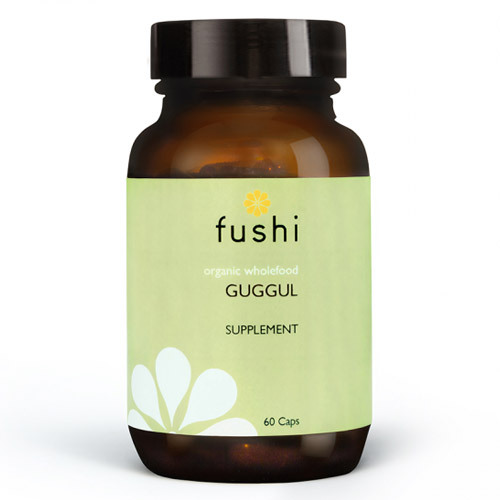 Below are reviews of Fushi Organic Guggul - 60 Vegicaps by bodykind customers. If you have tried this product we'd love to hear what you think so please leave a review.